One of my goals for this year is to use up all the 6"x6" paper pads I have laying around. I like them for the smaller pattern and how easy they are to cut into 4"x6" cards, which can later I can cut in half to make 3"x4" cards for my pocket pages. At Scrapfest, I came home with twelve 6"x6" paper pads. I wasn't sure what I was going to do with all that. I gave one set of 4 pads to my dear friend for letting me use her scrapbooking tote. One set I immediately cut into 4"x6" cards, and kept the other set whole, hoping I could figure out what to do with them. I also had a few other 6"x6" pads that I had bought because of my love for Christy Tomlinson's designs and/or just because I liked it. 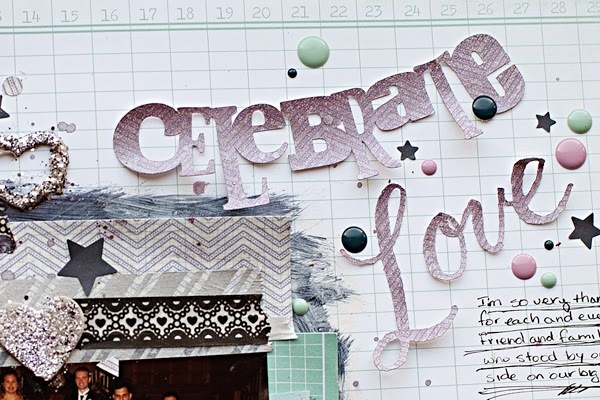 Today I'm sharing a layout I did with a couple papers from the Christy Tomlinson paper pad, and the leftover 2"x6" pieces from the Amy Tangerine Plus One paper pad a dear friend gifted to me. I had two pieces of this purple chevron paper from the Christy Tomlinson pad and one I just used as-is, the other one I sent through my Silhouette to cut out my titles. To make them stand out a little more, I misted them with Heidi Swapp Color Shine. 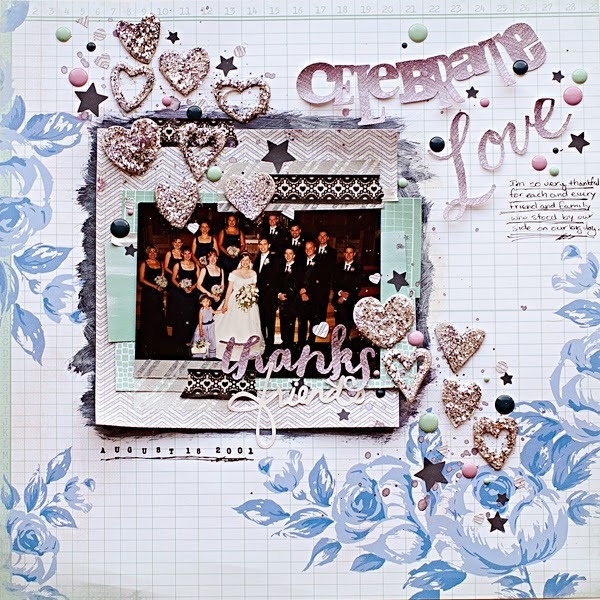 I'm still going through the Art Class by Wilna Furstenberg at 2Peas and this chapter was glitter and washi. 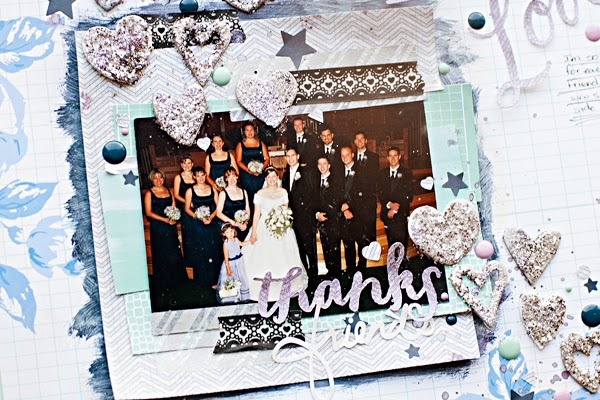 I had a stash of chipboard hearts that I added glue to and then sprinkled several colors and sizes of glitter. I really love how they turned out. Next time I think I'll skip the black and just stick to the two silvers and the lavender glitters. I grabbed a few rolls of washi tape and just started sticking it everywhere. I should have done this first, but I added the paint behind the 6"x6" paper after I had glued everything down so it's not as organic as I would have liked it to be. It was a bit darker than I thought it was going to be so I added some white on top... I should have just left it as the eggplant color, but I still like it. Lastly, I just started putting on stickers and enamel dots everywhere. I really love how it adds a little pop to the layout. I added the journaling and date and it made me really miss my friends. I wish we had been better at keeping in touch.